TrueLook webcams are streaming live video from this year's USBC Open Championships in Baton Rouge, where over 60,000 bowlers compete for a $6 million prize. TrueLook, a leading provider of professional webcam technologies, has been selected to host live streaming video from this year’s USBC Open Championships. The webcams will be freely available to the public via the USBC website, allowing anyone to watch the competitions in real-time. This year marks the ninth consecutive year that TrueLook has provided live webcams for USBC tournaments. The 2012 USBC Open Championships begins February 11 in Baton Rouge, LA. 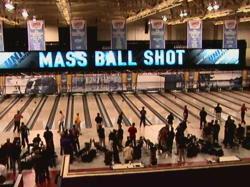 Over 60,000 bowlers will assemble from around the world to compete for a prize fund that tops $6 million. In years past, the webcams have seen significant traffic. Last year’s USBC webcams were accessed by over 65,000 unique users, and received over 1 million page views. In addition to watching the cameras’ live broadcast, webcam users can save and download images using the TrueLook web interface. The webcams also include a feature that allows easy sharing to Facebook and Twitter. In addition to streaming live events such as these, TrueLook technology is also utilized in the construction, entertainment, and travel industries. Construction cameras allow project managers to monitor and time-lapse their projects, while resort and destination webcams are popular tools for immersive web marketing. About USBC: The United States Bowling Congress is the national governing body for bowling, as recognized by the United States Olympic committee. The USBC currently serves over 2 million members, and the Open Championships attract 60,000 - 80,000 participants each year. About TrueLook: TrueLook is the world's premier interactive webcam system, specializing in construction cameras and destination webcams. For over 15 years, TrueLook has been deploying cameras on every continent of the globe - including the NASA camera on the South Pole. This world wide network of IP-based cameras has captured over 2.2 billion media clips, delivering them to over 100 million users with a 99.999% service up-time. TrueLook has also been a pioneer in IP camera technology, having built the world's first pan/tilt/zoom (PTZ) network camera.